The MCAT is changing in 2015. With the addition of three semesters’ worth of material, more advanced critical thinking skills, a longer duration, and changes in content, the new exam requires even more diligent prep with resources from Kaplan Test Prep. 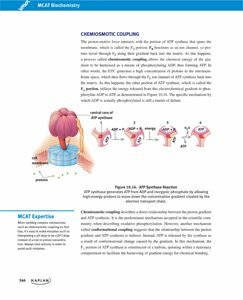 UNPARALLELED MCAT 2015 KNOWLEDGE: The Kaplan MCAT team has spent years studying every document related to MCAT 2015 available. 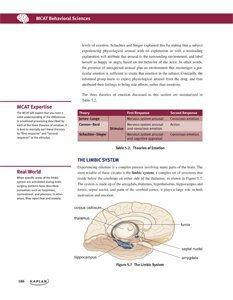 Along with our expert psychometricians, the Kaplan team is in a position to ensure the accuracy and realism of our practice materials. MORE PRACTICE THAN THE COMPETITION: With questions all through the book and access to three full-length practice tests, Kaplan’s MCAT Review has more practice than any other MCAT books on the market. ONLINE COMPANION: Access to online resources for all seven books to augment content studying, including three full-length practice tests. The MCAT is a pc-based test, so practicing in the same format as Test Day is key. 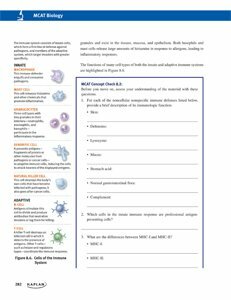 The MCAT is being overhauled in 2015, and if you are in search of an advantage for Test Day, Kaplan’s MCAT Complete 7-Book Subject Review is it. You’ll need to know more content for the new exam and you’ll want the best, most comprehensive prep to be successful and gain the edge over your competition. Sidebars highlight expert tips for success on Test Day. Kaplan’s MCAT Complete 7-Book Subject Review was written by a team with decades of experience preparing students to succeed on the MCAT. You’ll study with confidence knowing these books were written by top-scoring MCAT teachers and reviewed by a team of editors with advanced degrees in the natural sciences, behavioral sciences, and medicine. No content errors will be found in this material. Plus, the books are easy to navigate and chock-full of expert tips, summaries, strategies, and self-assessment so You’ll ensure what you’ve learned as you study. Even more exciting is all of the practice included with this box set. Each book has plenty of practice question sets and the box set comes with three online full-length practice tests—meaning Kaplan has more full-length practice tests than even the AAMC’s Official Guide. Because the MCAT is a pc-based test, it would be best to practice in this test-like environment to feel confident when you walk in for your MCAT exam. Are you a visual learner? This set of books also features vibrant and easy-to-understand images, including detailed figures from Kaplan’s exclusive relationship with Scientific American, to increase your understanding. 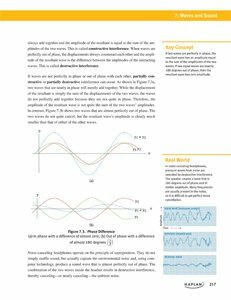 The Online Center included with the box set also includes a sampling of Kaplan’s Science Review Videos, which offer efficient mastery of the highest-yield content. This is the premier set of books You’ll count on to help you study for and succeed on Test Day—especially with all of the online practice included with your purchase. You’ll rely on Kaplan’s team of experts who constructed this comprehensive review because Kaplan is the proven leader for MCAT test prep. Still not sure this is the right prep for you for the MCAT? Ask Kaplan’s MCAT team a few questions on their social boards or blog. With the Amazon discounted price, You’ll’t go improper using this set of books to help you study for and ace the MCAT—it even comes with a money-back guarantee! Illustrations help visualize and simplify even the most complex scientific concepts. Integrating self-assessment and practice questions all through the book ensure you’ve mastered the content you want. Key Concepts provide a snapshot of the most important content for quick mastery.